NGC 3981 is a spiral galaxy 62 million light-years away in the constellation of Crater. It was discovered in 1785 by William Herschel. 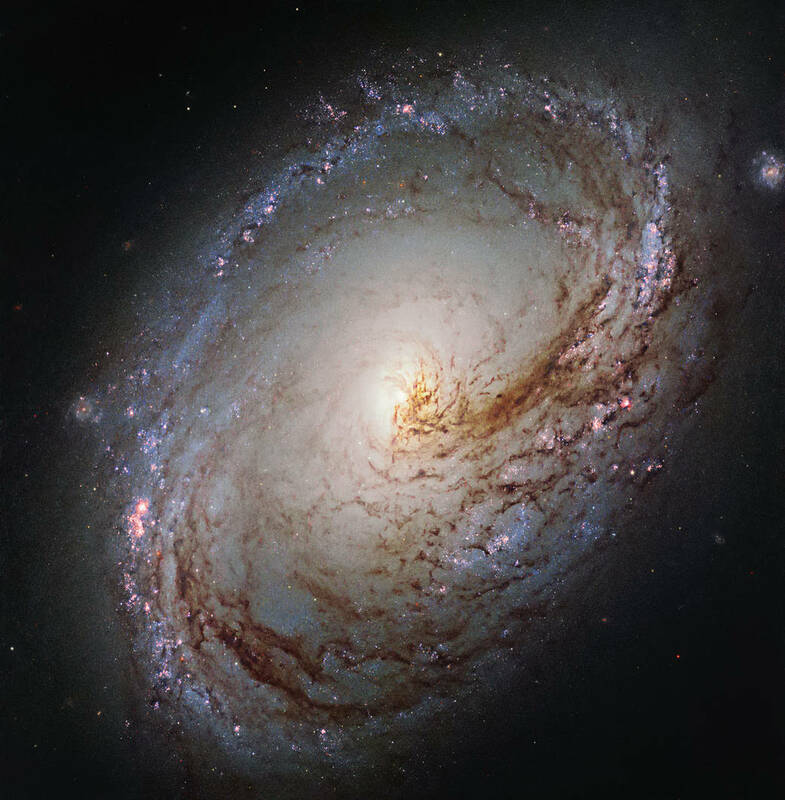 It’s a member of the NGC 4038 Group of galaxies which is in turn part of the Virgo Supercluster. 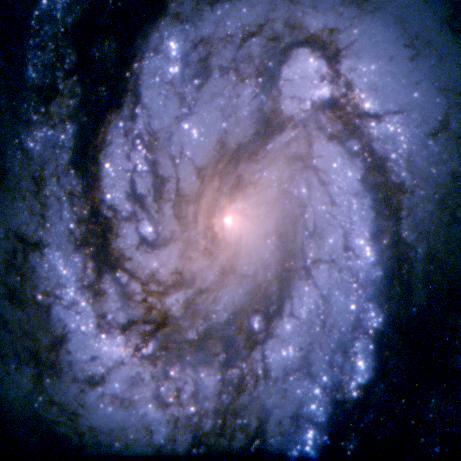 This image was taken in 1994 by the Hubble Space Telescope of the spiral galaxy M100. NGC 4565 is sometimes called the Needle Galaxy. It’s an edge-on spiral galaxy located about 30 million light-years away in the constellation Coma Berenices (Berenice’s Hair). Its bright yellowish central bulge juts out above impressive dust lanes.